SIWA is collaborative project made by Japanese washi paper product maker called ONAO and worldwide designer Naoto Fukasawa. 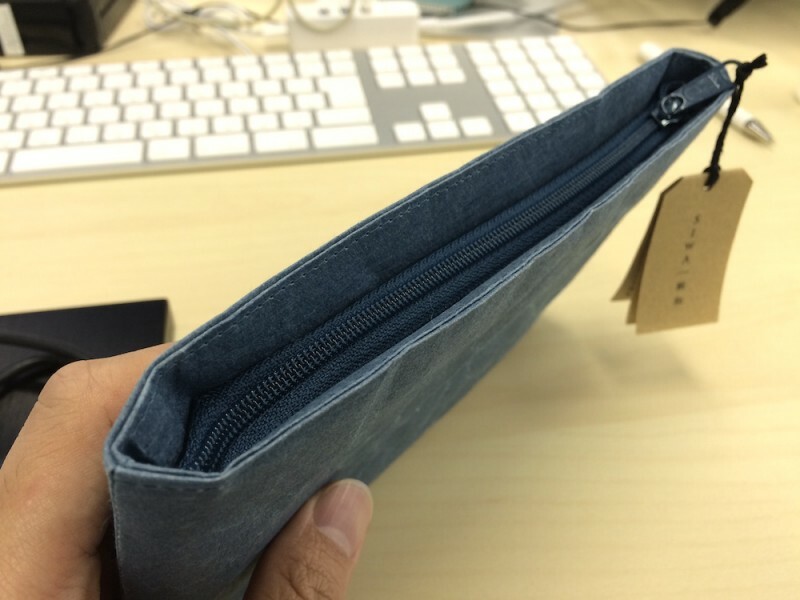 Today we picked SIWA cushioned case, size mini. 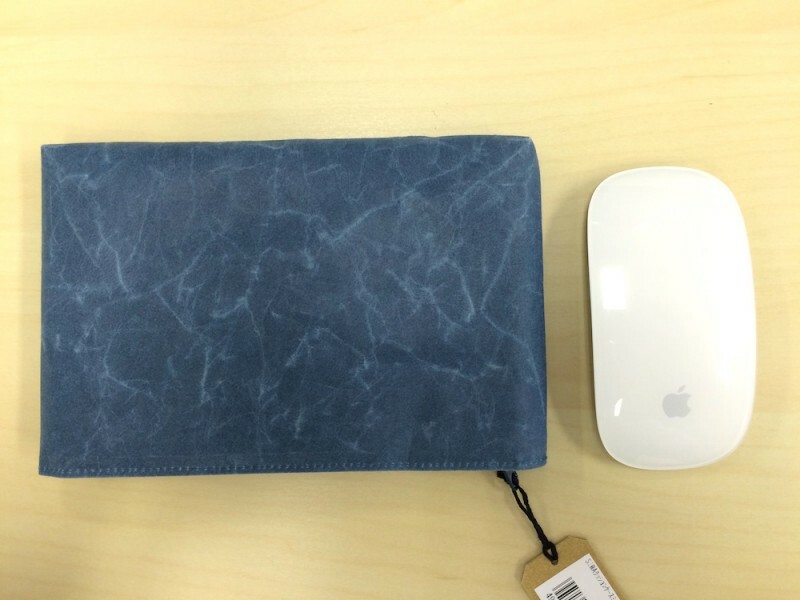 The size is Wide:18cm Height: 12cm and weight only 21g. More detail please visit SIWA page. 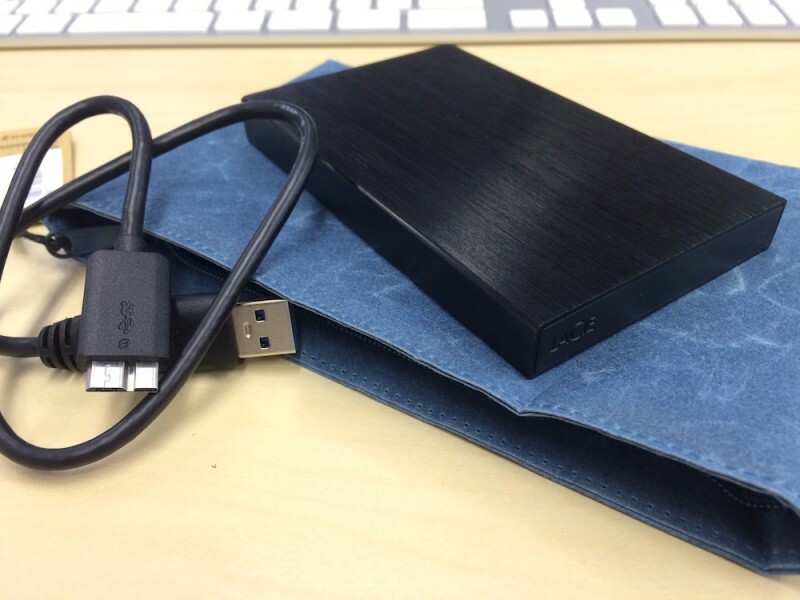 This product is perfect for a portable HDD case. Or maybe you can use it as a mobile phone case, credits card case or make-up products case. 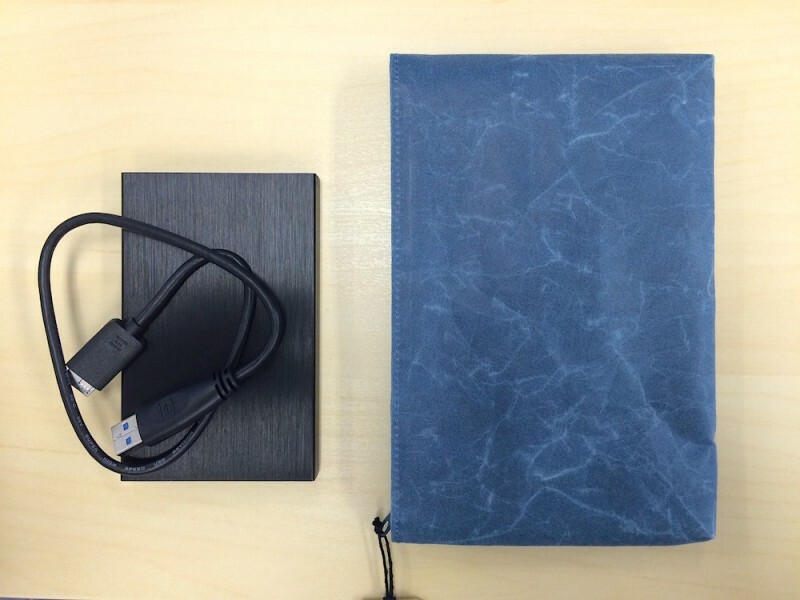 Here are some example photos that shows you if you use it as a portable HDD case. 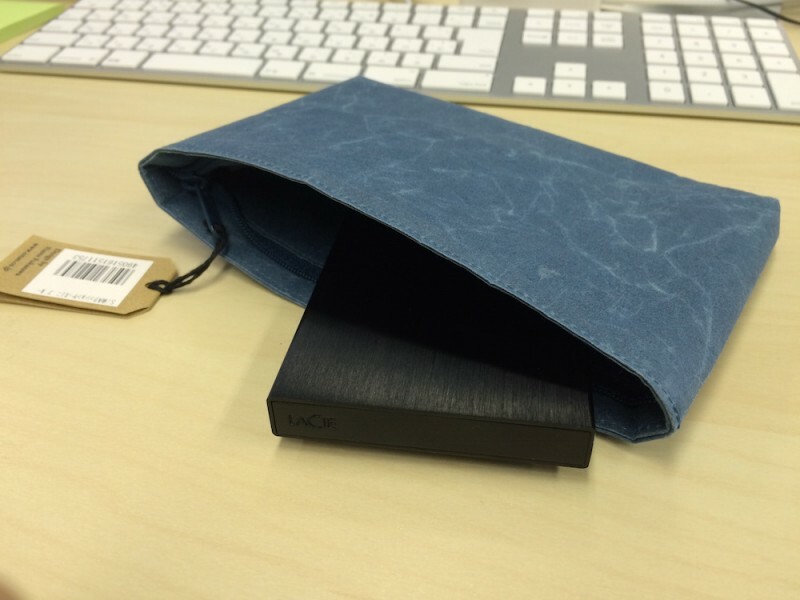 We use LaCie Rikiki USB 3.0 1TB for this test. Compare with Apple Magic Mouse. It will help to show how small it is. Thank you for your time. Hope you like our SIWA product.